In virtually every infectious disease, there is a subset of the patient population that manages the infection better than the rest. These ‘rare’ patients may be generating a differentiated, highly potent and protective antibody responses. The MabIgX technology is designed to rapidly identify rare, potent antibody-producing B-cells from patients who successfully overcame an infection, then quickly convert the discovered B-cell into a stable manufacturing substrate. Our technology immortalizes and stabilizes the antibody-producing human B-cells from the patient, enabling large scale manufacturing of fully human mAbs for treatment of the masses. 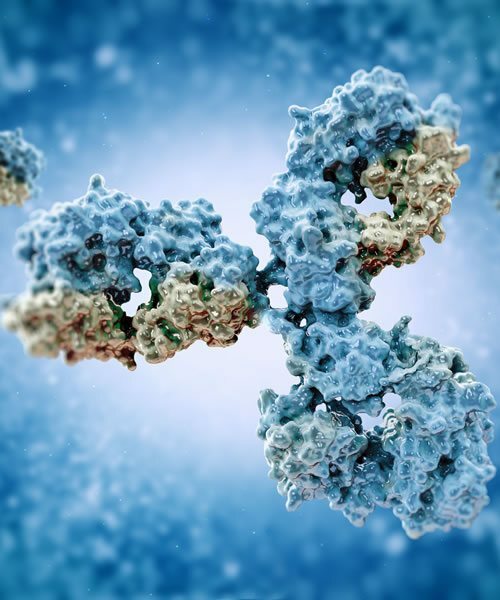 Unlike current antibody therapies, Aridis’ mAbs are completely of human origin, are functionally optimized for high potency by the patient’s immune system, and do not require genetic engineering or further optimization to achieve full functionality and high mAb productivity. This technology also allows for the selection of any antibody isotype, depending on the optimal effector function required for treating the target infection. MabIgX bypasses the conventional recombinant mAb manufacturing process steps involving antibody producing mouse cell lines (e.g. CHO cells) that are used by all antibody manufacturers. Upon selection of the desired B-cell, our technology applies cell fusion with a proprietary fusion partner cell line to stabilize and immortalize the B-cell, then proceed to scaled up manufacturing without using recombinant process steps. The result is a shortening of the discovery and manufacturing process by up to one (1) year compared to conventional manufacturing process.